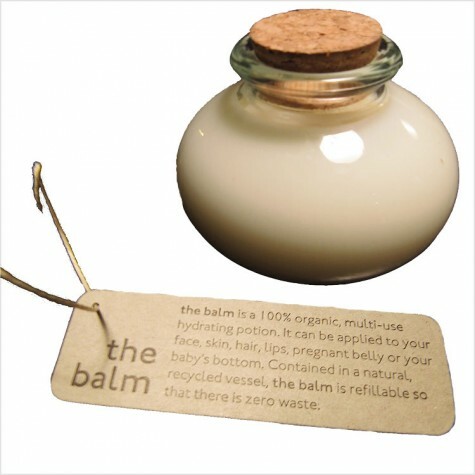 The Balm was created to replace multiple body products with one organic, multi-use product in a container that is beautiful, recycled and looks good on your counter! As the tag reads: the balm can be applied to your face, skin, hair, lips, pregnant belly or your baby’s bottom. Ingredients: shea butter, cocounut oil, beeswax, olive oil, lavender oil, amber oil. Available in 2.8oz and 4oz glass jars with cork stoppers.